Jerusalem Chef Mediterranean Restaurant in Roswell, Georgia. Our menu explained. If you love good food, then Jerusalem style food served in Roswell, GA is a place to visit on your next lunch or dinner adventures. Food served at this restaurant is of the highest quality, since the Chef makes sure he is always using fresh ingredients for all his dishes. A key factor to quality food is the state of the environment in which it is prepared. Jerusalem Restaurant in Roswell, GA prepares their food in a clean and family-friendly environment. We take pride in serving our community and always make sure families are comfortable and kids have plenty of choices of food to choose from. It is hard to find a place where quality Mediterranean cuisines are fantastically made. We now have one right in the backyard of your home. No need to look far. Ask anyone who has tasted quality Mediterranean cuisines, it is like living on the earth and enjoying Heaven at the same time. Preparation of Food is not just the mixing of different ingredients; it involves the attitude, skill, experience and passion. You can experience this when you visit the best clean and family-friendly Mediterranean restaurant located in Roswell, GA. Not only will you ask for more, you will consider eating it daily. Eating is not about quenching a taste; it is about satisfying an unfulfilled desire. It is time we dug deeper and explained our offerings. Enough with the excuse of no time because we now open even on Sundays. Why Sundays? Not everybody is free other days; some only have Sunday’s to have fun with their families. This is why we decided to open on Sundays to give you the best! We guarantee you, you will be served with delicious food good for families and kids. In this particular post, we wanted to cover our menu to help you with some of the best Mediterranean dishes you haven’t considered. Right here, you will get insight to the description of some of this Mediterranean food served in Roswell, GA. This will burst your bubbles. Are you ready? Some of our Menu Items- Trust us, there is a whole lot more we have not covered! We have the best Chicken Shawarma in Roswell, a meal that will take you off your hook. The Chicken Shawarma marination infused with the Mediterranean flavor is worth everything in the world. Enjoy your Chicken Shawarma with rice or just as a sandwich. We don’t serve wine; however, there is plenty of drink options for you to try from. No need to go far looking for the best Shawarma Gyro. This delicacy is a combination of the two best staples from the Mediterranean offered to you right here in Roswell. You cannot miss out the taste of the beautifully wrapped Shawarma with slices of Lamb or Beef or Chicken served over rice. Just the sight of it is enough to be satisfied. 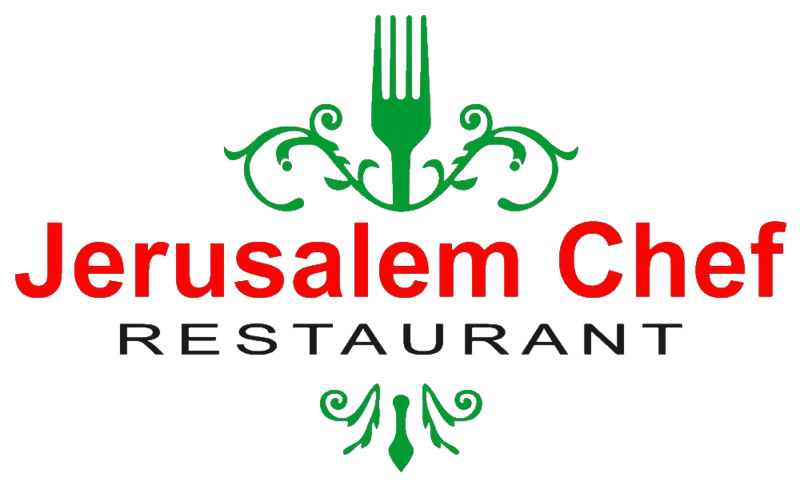 Let the chef with over 30 years experience prepare the best Jerusalem style food for you. This is our favorite grilled meat flavored to perfection dish. The mixed grill is one of the best grilled platters you will ever taste. The lamb Kabab is the bomb. Our Mixed platter that we so proudly call Jerusalem Mixed grill is a combination of various grilled meats like lamb kababs, chicken kabab, gyro meat etc. Don’t forget to ask the Chef his favorite meat from the grilled platter!. If you are like most people that are looking for that perfect meal that comprises of rich lentil, cooked together with the best spicy ingredient then you got that in Mojadara. Prepared in a clean and family friendly environment. This is one of those authentic dishes that you do not get to taste in any of the Mediterranean Restaurants around Atlanta or even up north in Alpharetta. Mojadara contains all the protein and fiber you will need as this is one of those healthy dishes one should try. This dish is a flavor packed eggplant dip that is a mouthwatering supplement for your appetizer. It comes baked with eggplant, mashed garlic, tahini and spices with oil on the top. The sight of it sends signals to your stomach that something irresistible is here. You can also spread it on a sandwich or decide to take it as a side meal. This is your terrific accompaniment for kebabs. Not only is the Greek Salad perfect for you, you can eat it anytime. It is the most delicious salad you can taste in Roswell. With a mixture of tomatoes, lettuce, olives, cucumber, feta, cheese and the Greek Vinaigrette, you are set for a nutritious appetizer. This can be served with bread on the side. If you a vegetarian, the Tabouli dish will be your favorite. Careful attention is given to this meal by the chefs of the Jerusalem Chef Restaurant in Roswell because we care for the right flavors in this dish. This meal is a widely known Mediterranean salad that comprises of fresh parsley, tomatoes, onions, etc. Your one-stop meal that reduces your level of cancer risk. Do you want a meal that will boost your immune system or flush excess fluid from your body; the Tabouli delicacy does the magic perfectly. The lamb shank is a meal full of flavor, rich, and glistering from the first time, you encounter it. This special meal cooked with spinach and served with a bed of rice and Jerusalem salad is ideal for your family reunion. You don’t need a knife to dissect the lamb, roll your sleeves and enjoy the moment as the lamb meat melts in your mouth. We truly have this recipe hidden in our secret safe as it is that good! This is another one of those authentic dishes you do not get to try very often at other Mediterranean Restaurants. The hummus topped with an aromatic minced lamb is the traditional Mediterranean dish that you can eat as a small meal or a starter. The mixture of the creamy hummus coupled with the fragrant scent of the lamb and the crunch of pine nuts spiced up with a fresh pita bread will make you ask for more. Seriously, try it! Fabulous grilled chicken served on a bed of rice with Jerusalem Salad is a dish we love as it is grilled to perfection with enough moisture in the chicken for you to say WOW. This is a special meal you can surprise your spouse or girlfriend without spending much. If you are from the Mediterranean region, you will know that this meal is as important as water is. With a mixture of ground lamb and beef and served with curried rice in company with the Jerusalem salad. Every adventitious eater knows that this meal is surely irresistible. It is now available to you in Roswell. We serve Halal Meat only, so be certain we are taking utmost care in preparation and handling of our meats. Those who have left the shores of Israel can tell you that nothing is as luscious as the Jerusalem Salad. Perfectly made under a clean and family friendly environment by the best Jerusalem chef in Roswell. Made from a combination of tomato, dried cucumber, and tahini sauce is just classic Jerusalem food. You can try it and see! Not forgetting its nutrition value to your body. Eat good food that will benefit your body. If you have tasted the Shawarma Gyro, you do know that nothing can be as comparable. The Shawarma Gyro Combination is the super pack of Shawarma Gyro. We call it the boss of bosses. It comprises of slices of beef and lamb served with hummus, Jerusalem salad, and Tabouli. It is a combination of different meals into one. You have the opportunity of tasting Tabouli, Jerusalem Salad, Hummus and beef in a single plate rather than buying it separately. This like the Kofta Kebab that comes with a mixture of ground lamb, beef, and rice is supplemented with the best of Jerusalem salad and the tasty Hummus. The mixture of the creamy hummus coupled with the fragrant scent of the meats and the crunch of pine nuts spiced up with a fresh pita bread is something exquisite. Surprise yourelf with this delicious meal, it is worth it! The rumbling of the stomach always desires one thing – a delectable meal. The Shish Kebab is one of the best Jerusalem food served in Roswell, GA. Ask those around the neighborhood. With its chunks of lamb marinated in a spice of onion and tomato, char-broiled on a skewer and served with curried rice and Jerusalem salad can only leave you with one expression – finger licking. Nothing can taste better than the Snitchel; it is simply superb. This is also one of our authentic dishes that restaurants do not serve very often. You can enjoy your Chicken Scallop with Jerusalem salad, hummus, and a pita bread. The Jerusalem salad is prepared with diced cucumber, tomatoes, and tahini sauce to give you that mouthwatering adventure you’ve been longing to have. If you feel you deserve more by spending less, then the appetizer combination is all you got. You have three-in-one meal that is fresh and all vegetarian. The hummus is appealing, the falafel is divine, and the Babaganoush is heavenly. The sight of this meal is alluring. The Mediterranean’s don’t joke with this meal because of its dulcet taste. This meal comprises of grape leaves stuffed with beef and rice inside tomato sauce and served with the smacking Jerusalem salad. The salad comes prepared with the best possible ingredients you will ever think of. Looking for the best Mediterranean food in Roswell, GA, the Jerusalem Chef Restaurant in Roswell got you covered. The Shish Tawook is a meal that has chunks of chicken marinated in spices, grilled to perfection by the best chef in Roswell, and served on a bed of rice and the Jerusalem Salad. We could feel your taste buds twisting and rolling just to try this dish. We don’t blame you for it, it’s just that good. We have a wide selection of Vegetarian options as we want many options to be available for our Vegans in the Roswell community. A succulent combination of falafel, a generous portion of hummus, Tabouli, and Jerusalem salad perfectly decorated with Mediterranean spices. If you haven’t tried any Mediterranean food, this special meal carefully prepared by the best Mediterranean chef in Roswell, GA is a must try vegetable side dish! All dishes are made fresh daily, as this is our key to your stomach. So come try some Mediterranean Food as we are not far from Alpharetta or Johns Creek either. We have customers driving all the way from South Carolina to taste the food too, so we think we are doing something right!